Here is a quick and easy bracelet pattern for yourself or for your little princess. The pattern provides instructions for three material weights and hook sizes. In addition, it’s also super easy to crochet this to any size you need from toddler to adults. 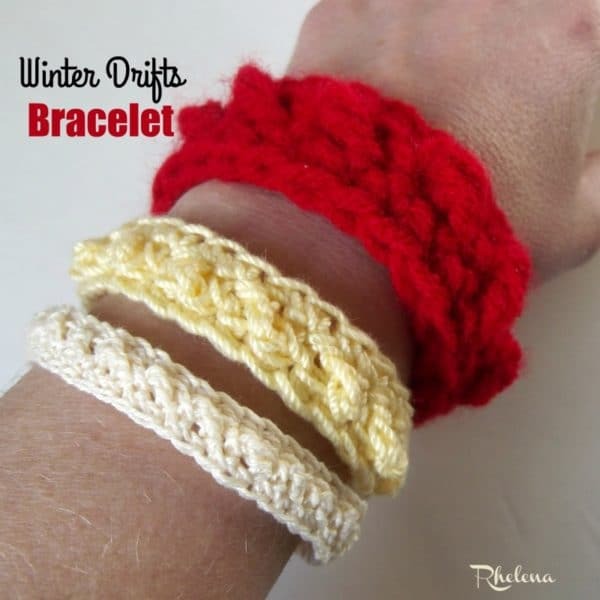 The crocheted bracelet has a diagonal raised stitch, which is created by working the single crochet and triple crochet into the same stitch. 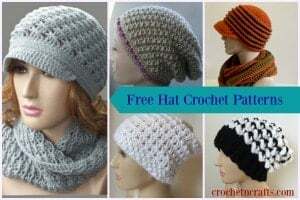 It’s quick and easy to master once you know your basic crochet stitches. Another bonus is that you have the option to change colors for the second round for a nice two-toned look. You might also enjoy the chained puffs crochet bracelet. Finished Size: Laying flat they measures about 3.5″ across. Can be adjusted to any size as needed. Change color for Rnd 2 if desired. Loosely Ch 22 (or any multiple of 2), join with sl st in first ch being careful not to twist chs. Rnd 3: Ch 1, sc in same st as join and into each st around; join with sl st in first sc. (22 sts) Fasten Off. Loosely Ch 30 (or any multiple of 2), join with sl st in first ch being careful not to twist chs. Rnd 3: Ch 1, sc in same st as join and into each st around; join with sl st in first sc. (30 sts) Fasten Off. Loosely Ch 56 (or any multiple of 2), join with sl st in first ch being careful not to twist chs. Rnd 3: Ch 1, sc in same st as join and into each st around; join with sl st in first sc. (56 sts) Fasten Off. Like this stitch pattern? Why not check out the rest of the Winter Drifts pattern collection.